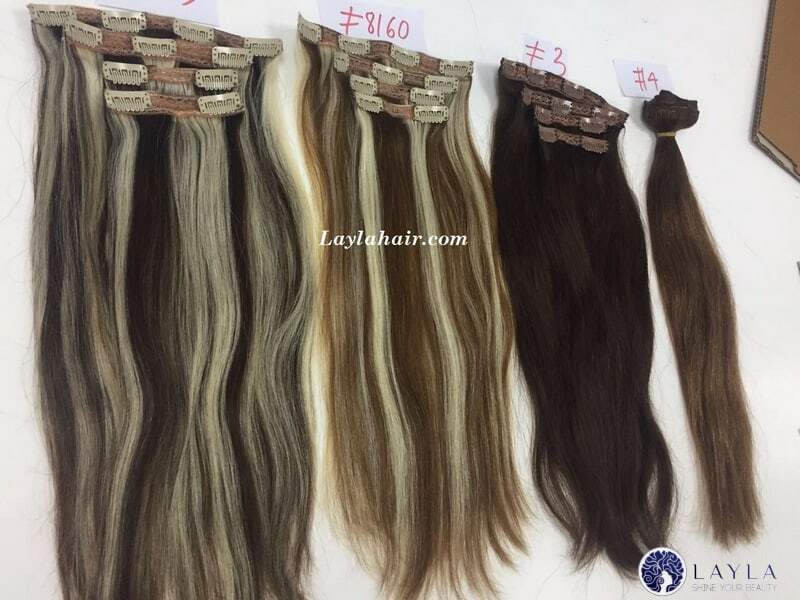 To fit different purposes, hair extensions are made with multiple ways of application. Some are instant while some ask for skills. Responding to how we make hair extensions application, the lifespan and the way we keep them can vary. Because people will ask for diverse hair extensions for unique events, we open for discussion and advice on what you should do. How to do hair extensions applications? 1 How to do hair extensions applications? Depending on the type of extensions you wear, we have some favorite way to perform applications. Here below are the most popular practices recently. It’s the simplest version of hair extensions that we can find in most hair shops. Clip-in hair extensions have got clips under where we can apply in human hair by a click. 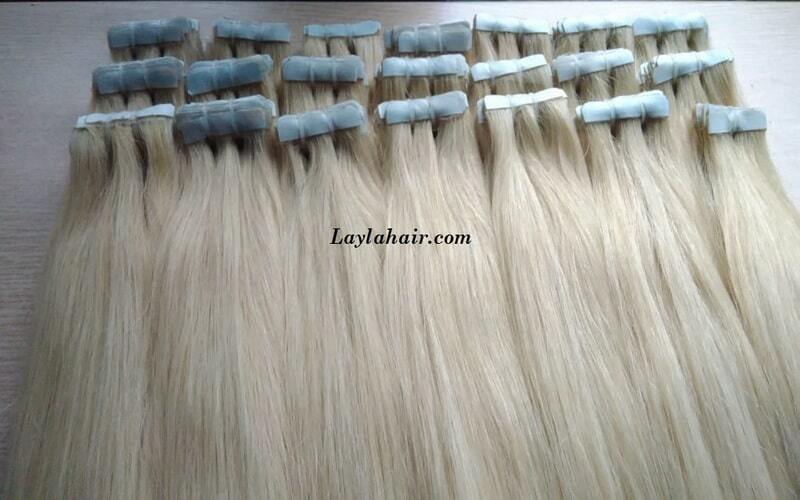 This types of extensions come in small bundles so that wearers can apply different sections. To make it beautiful, you can follow some tips. First, part your hair into different areas. Remember where do you want to clip the wigs in. Typically, no one will wear it on the top of the head but in the ear level. Leave the top hair cover the joint; the look will be more natural. You might want to use more hairclips to hold the wigs in position. Tapes are also the favorite on the market — one of great point about tape hair extensions that the joint is almost invisible. The tip is not attached with any appendixes to hold on the hair; it’s just hair. Unlike the clip-in type, tape hair extensions applications need real working. If you are not a good hairdresser, wearing tape hair can become a mess. After washing and sectioning your hair, we still insist on leaving upper hair to cover up the joint later. Making a straight line parting the hair. Because the joint of tape hair will be nearby the line, the need to make a clean horizontal cross is essential. It’s not easy to do it behind your head. Pick up little blocks of hair. It’s to make sure that both sides of the tape can be held on by natural hair. 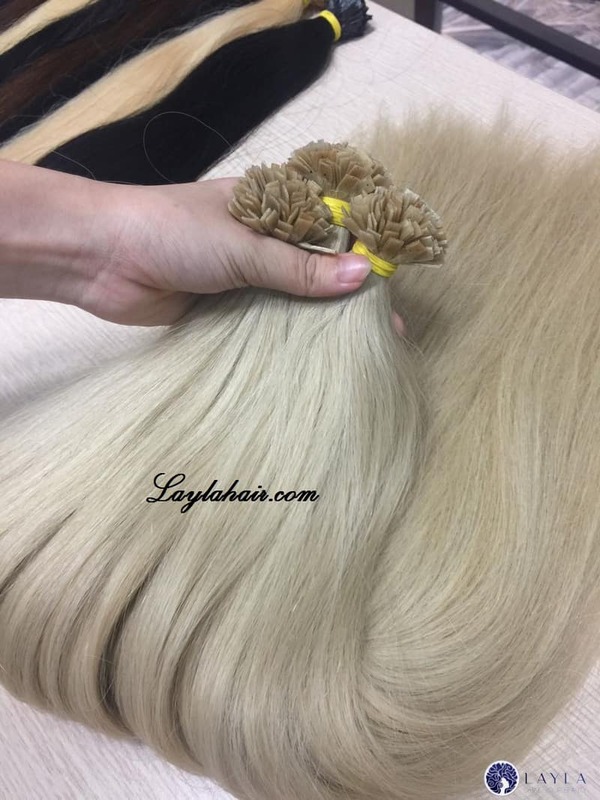 Tape hairs are also on sale for small extensions. Therefore, you have to measure the correct width of the section before tape in. Next will be the most stressful job when you have to secure the tip of hair extensions into the hair. This process needs skillful operators. The micro-ring is one of the methods in the past but still popular until now. This type of extensions appears the combination of little round bundles of hair. However, instead of tape or clips, people will use small rings to secure the hair into the hair. The process is nearly the same as tape hair extensions applications. 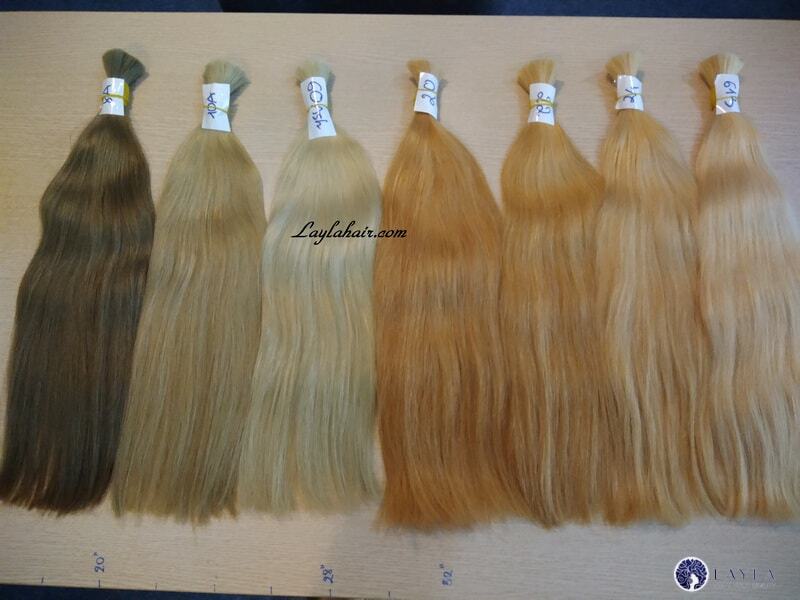 For variant hair extensions applications, they come with diverse hair extensions uses accordingly. How people use hair extensions will depend on the lifespan and the application. Because this type is a fast and instant application, people usually wear it for outgoing. Clip-in hair can be a great accessory for parties or photoshoot. Many people are not into having thick hair, so they do not need hair extensions 24/7. Wearing clip-in wigs takes less time than doing your make-up. Same with taking off. Because these types seem sturdy, people wear it 24/7. Both tape or micro ring can last up to 6 months or even more under good caring. Plus, people have to spend hours on applications. As a result, people come with this choice only because they need to thicken their hair for daily wearing. Because the joints are almost invisible, these types are favorite of thin hair people. Besides application, performing hair extensions care sounds problematic. The post-application attention can affect the product’s lifespan and directly the look. Hair extensions can get tangled easily if you forget combing and washing. The hair gets dry more quickly than the natural human hair. That means you cannot base on general hair care. Let’s share some tips for taking care of extensions after applications. Usually, people will take off clip-in hair extensions after use. It’s quite easy to keep them in shape. Washing and combing can keep them smooth. You may need to use hair lotion and cover-up in silk bag or hang on the closet if not frequent use. Pay attention to clip; you cannot do physical grooming like what you have done with real hair. If the wig is human hair, you can do styling or dying. However, it’s not appropriate for clip-in or any hair extensions at all. Some people enjoy combing, but you can lessen. Don’t do daily combing, which causes hair to fall. For these types, we need more considerate hair extensions to care. These hair extensions will stick to your head 24/7, let’s take care of them as frequent as possible. Firstly, about combing, you should do more than usual, gently. They can get tangled everywhere, and the only way to keep them out of falling is grooming. Don’t do daily wash; it’s not good with tape. When you sleep, it’s essential to cover up your head in silk cap. Silk is the safest materials that help with reducing hair fall. Plus, do braiding to minimize tangling. For the demand on hair and beauty, hairs extensions show up as the most favorite. With some tips on hair extensions applications, uses, and care. A beautiful wavy thick hair is no longer the dream.